Custom Web Development And Designing company Are So Important! Why Custom Web Development And Designing Are So Important These Days? In the present digital age, it is really important to have a website. Every business owner can understand the struggle of getting more bang for the bucks while juggling the finances. Yes, the choice is really difficult while it comes to making the financial decisions on services, which are vital to the survival of your company. But the truth here is that while an investment is necessary to increase revenue or to reach more of the target audiences or to make some recognizable brand for you, then it is just impossible to skimp out. So, while it comes to developing a website for any brand, there are just two options left. One of them is to opt for a custom website development and design service offered by any Woocommerce web development company in India and another service is custom template design. The custom built or designed website is developed and designed from scratch on the basis of some expectations and specifications to bring some conceptual idea to the life. Starting from information architecture to graphics and from the content management system to the navigational structure, here every element is placed together by an expert team of web designers and developers. Custom developed or designed websites also include more work and this leads to higher cost and more time. These also need expertise, technical skills, and experience to deliver the necessary things. By choosing customization, it is actually possible to get an alternative look as well as a different identity. Therefore, it is necessary to apply for the customized template design to the new website before it is launched. For putting all the new ideas, services or products on the web, custom design helps the business owners in the manner they prefer these to be put. Besides, customization also offers the business owners the scope to get a refreshed look in their websites. The visitors of the sites don’t get the ordinary feeling while visiting the customized template based websites. After capturing the speculation that they have, the newly launched sites would need maximum conversion rate. On the basis of the business type, any type of site and design can be selected from a wide range of templates. The designs or development templates can be used without any restriction. Therefore, one can actually design and develop the websites anywhere and at any time. These templates offer features like importing, exporting, deleting, updating and appending the images or products along with the information facilities on the website anytime when the website owner needs it. These solutions are really cost-effective that amply for every business type irrespective of the size and type. This is actually a matter of argument that the templates for web design and development are really easy to utilize and these are also available for free or at a really economical rate. But these templates are not actually suitable for continued growth or for a voluminous start. But this type of flexibility that is important for fulfilling all the demands of the ever-varying trends of eCommerce is provided by the customized templates. In case your brand needs continuous promotion through some attractive ideas of selling therefore only the web customization can actually help you out. 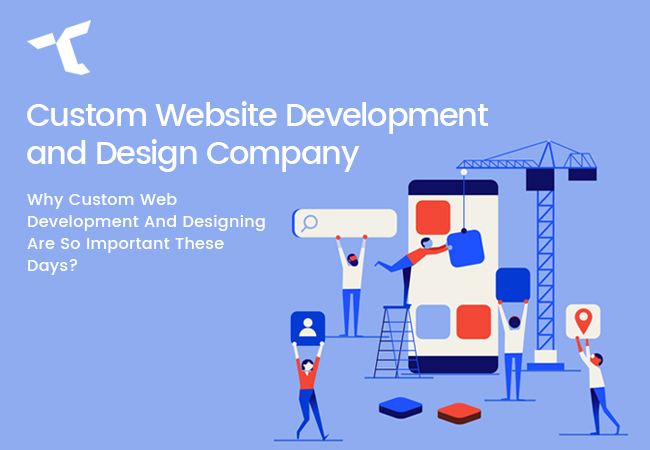 So, whether it is the greatest presentation of your web development or design project or the admirable projection of the services and products, then the web development and design job should include everything in it. Apart from the numerous options, which are allowed by it that can be used to ascertain a brand by enhancing the traffic to the website by search engine marketing along with other important marketing tools. As the matter of fact, at present, the contest for eCommerce is becoming tough day by day with a proper selection, positive attitude, and proper planning. All of these things make it really easy to deal with the eCommerce sites. Actually, there are a number of important things for any eCommerce websites that should be looked after but rather than squandering the energy and time in the templates, this would be more beneficial to apply the resources properly. Actually, even the shortest investment produced in the custom designed templates would allow the business owners to get back to the maximum amount that they propose. As not all the business owners have complete knowledge about web development and Web design and development services India and therefore often they take the assistance of customized plug-ins and widgets so that they can use and update web designing and development details quite easily. This is also the reason why these business owners choose to hire professional web developers and designers to meet their requirements. Exactly. A custom website design and development allows the business to create a simple and planned internet presence for their users. Businesses can deeply integrate their brand concept into a custom web design including having their own colors, graphics, and layout. A custom web design more easily reflects the total image of a brand and the brand’s culture. Copyright © 2018 timefortheweb.com. All Rights Reserved.